You probably read or heard about the recent privacy concerns raised with using Dropbox as they just changed their Terms of Service (TOS). However, it turned out that Dropbox merely wanted to be more open about their policies and went into great detail as to what you can expect from them. But, after reading their blog post addressing these concerns, I am not so worried anymore. When we get a government request, we don’t just hand over your information or files. Our legal team vets all of these requests before we take any action. The small number of requests we have received have all been targeted to specific individuals under criminal investigation. If we were to receive a government request that was too broad or didn’t comply with the law, we would stand up for our users and fight for their privacy rights. 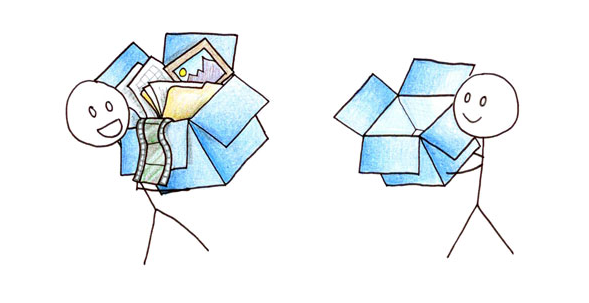 I am going to focus on one particular aspect of Dropbox here – Encryption. Dropbox decrypts our data on iheir servers to provide some killer features like file access through the web, file previews and file sharing. However, if you are put off by that idea and wiling to make the trade-off of not having these features, you have one of 2 choices in encrypting your data. TrueCrypt is an excellent free file encryption software that can create encrypted volumes of your file contents. So you can one of the below 2 choices to address security concerns when it comes to Dropbox or any online file storage service you may use. Encrypt your Dropbox content and store the encrypted volume in Dropbox – this reduces your file accessibility but helps to store confidential files online and you get to keep the encryption key. Encrypt your complete Dropbox folder. This won’t address Dropbox having access to your files but will address your local file security should you lose your laptop or computer. I am using a mix of both these strategies now to protect some of my content I store online. Lifehacker has a great article that goes into further detail on using Truecrypt along with Dropbox. I have to reiterate that Dropbox is still one of the best file sync/online file storage solutions out there. We just need to be aware of the security aspects of cloud storage no matter what service use to store our data online.